It’s down to Clinton and Obama now and consensus thinking is that whichever does well on Super Tuesday will coast to the Democratic nomination. I was sorry to see Edwards drop out today. I thought his drawing attention to government corruption was a worthy addition to the dialog. Every time I open my car door to exit and hear the obnoxious ding-ding-ding-ding “reminding” me to take my keys, I am infuriated again at the insurance lobby. What, exactly, is the government’s interest in keeping insurance company losses low? It’s manifest corruption. But I rant. My main problem with Hillary is Bill. He is a clinically disturbed personality and I don’t want him anywhere near the Oval office. As recent events on the campaign trail have demonstrated, he cannot be controlled. He is a huge liability. My second problem with Hillary is honesty, or lack of same. All politicians lie, as it is part of their job. The American people are not critical thinkers so empty slogans and feel-good sentiments are more effective than reasons and evidence. This has been well documented in the political science literature (e.g., Lau & Redlawsk: How Voters Decide: Information Processing During Election Campaigns. Cambridge University Press, 2006). In a perverse way then, Hillary’s prevarication is a strength, not a weakness. Obama does not seem as overtly dishonest as Clinton, but he misleads by not saying anything. He gives good speech but since he has not been in the public eye long, we don’t know what he would say or do in a difficult situation. Of the ethnic violence in Kenya, his father’s birthplace, he calls for “reason and calm.” There isn’t really anything practical he can do about the situation but he also does not reflect on its meaning. He reveals nothing about himself whenever possible. His two best-selling books read like a series of Hallmark cards. 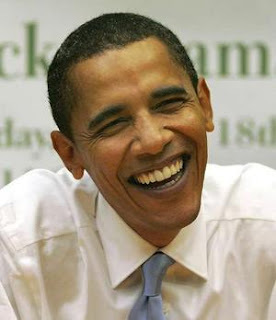 Obama has charisma, and according to Lau and Redlawsk, that matters a lot in people’s voting decisions. But how will he react when the Republicans roll out the siege engines in the fall? Can Obama be Swift-boated the way Kerry was? Everybody has skeletons. Can he talk about the meaning of race in America? We haven’t heard him do so yet. Can I visualize him confronting Putin, Kim Jong Il, or Ahmadinejad? Would he urge Olmert and the head of Hamas to have a cup of tea? Would he advocate cutting oil and corn subsidies to develop a rational energy policy (Illinois is one of the nation’s top corn producers)? I haven’t seen enough of Obama to predict how he would react. This weakness leads Hillary to claim “35 years of experience” to her advantage, but that’s just hogwash. She has been an ordinary attorney most of her life. Her experience as First Lady counts for zilch. My wife is in the financial services industry but that doesn’t make me a stock broker. Clinton's recent record in the Senate is unremarkable but respectable, as is Obama’s. When America is attacked again, who will respond better? 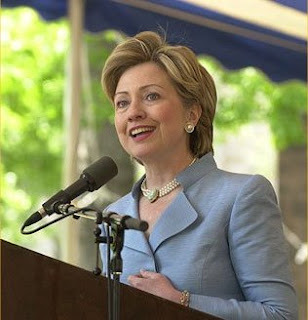 Hillary will react much as George W. Bush reacted, with bellicose slogans and radical though ineffective actions designed mainly to “reassure” the public of her competence. Unlike Bush though, I believe her actions would be designed to affect ordinary citizens. She is not so hollow and confused as to invade some arbitrarily chosen country just to flex muscles. Obama, I don’t know how he will react. He will give a stunning speech, of course. But then what? I believe he is thoughtful and intelligent enough not to act stupidly, and to listen to his advisors, something I am less sure about with Hillary. With Obama, his unknowns are the unknown unknowns, the worst kind. The bet is on his present persona as an index to future behavior. That’s a bet I am willing to make, but I am a psychologist. I don’t think most people will make that bet. The average American, in the fog of Oedipal fantasy, wants God-like omniscience and omnipotence in the White House. That’s why they will vote for Hillary, then finally for McCain. I hope I’m wrong.